Of the nine nations that control the roughly 14,200 nuclear weapons in the world, Russia’s bombs could most easily end all life on earth. Business Insider spoke with a nuclear-weapons expert and concluded that China has the world’s best nuclear arsenal, though not nearly the biggest or most ready to fight. Russian President Vladimir Putin confirmed long-held rumours in the US intelligence community in a speech on March 1, 2018, by announcing Russia had built an underwater nuclear device capable of killing millions in a single blast and rendering thousands of square miles of land uninhabitable for decades. 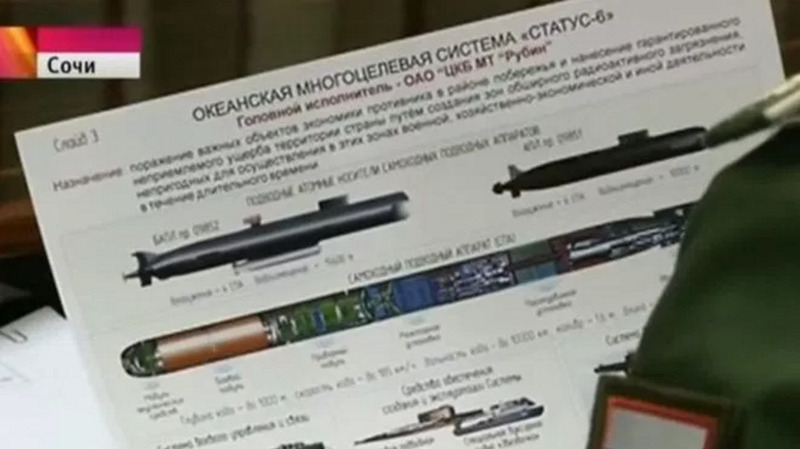 The US, Russia’s main nuclear rival, had no answer for this weapon – no defences in place can stop it, no emergency-response plans in place address it, and no forthcoming projects to counter or neuter it. On the surface, the doomsday torpedo represents unrivalled capability of nuclear destruction, but a nuclear arsenal’s worth rests on many factors, not just its ability to kill. Rodong SinmunKim Jong Un pictured in front of North Korea’s first intercontinental ballistic missile. Pakistan managed to develop what’s known as a “credible minimum deterrent,” or the lowest number of nukes possible while still credibly warding off India, which has much stronger conventional forces and many times Pakistan’s population. 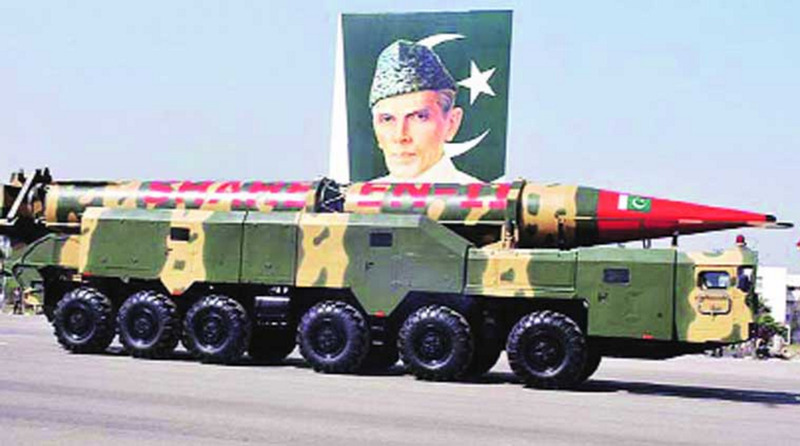 Additionally, “Pakistan has lowered the threshold for nuclear weapons use,” by building smaller, tactical nuclear weapons, according to the Arms Control Association. Shimin Gu via Wikimedia CommonsPakistan Air Force Chengdu JF-17. 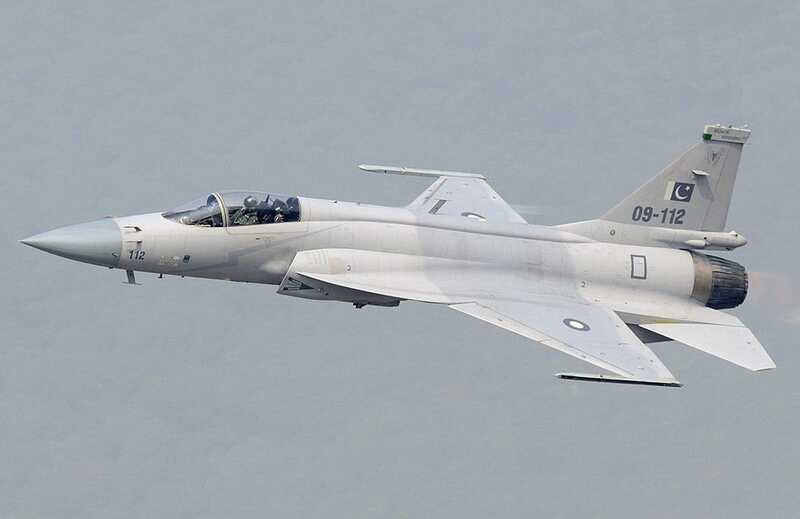 Pakistan’s air force has reportedly practiced dropping nuclear bombs with its foreign-made planes. The US has specifically given Pakistan permission to modify its F-16 fighters to drop nuclear weapons. Pakistan has no nuclear-missile-capable submarines, but has reportedly started work on one in response to India’s first nuclear submarine. “India is still a nuclear posture that’s still in vivid development,” according to Kristensen. While India had early success creating advanced nuclear devices, the rise of China and Beijing’s aggression in the region has made India divert its focus from one regional rival, Pakistan, to a second. Just as Pakistan fears India’s greater strength and numbers, India has come to fear China’s growing and modernising conventional forces. India doctrine succeeds for the most part by having a credible deterrent that’s not overblown and good cooperation with other nuclear powers. But India’s submarine fleet remains a dream at the moment, lowering its overall score. “India has to be able to communicate reliably with a ballistic missile submarine at sea, possibly under tensions or while under attack they have to maintain secure communications. That will take a long time,” said Kristensen. As it stands, the missiles and submarine India has picked out for its underwater nuclear deterrent can’t range China’s vital points or most of Pakistan. Russia ended World War II with the Red Army outnumbering any force on Earth. But throughout the nuclear age, it saw Europe turn away from it in favour of the West. Russia feared it was conventionally weaker than NATO, which has grown to include 29 nations, and started building the world’s most vast array of nuclear weapons. Putin frequently looks to the country’s nuclear strength for propaganda purposes, announcing in 2018 no less than five new nuclear offensive and defensive systems meant to defeat the US in a nuclear war that nobody seriously thinks Russia wants. While Russia has about the same number of nukes as the US, Russia’s have higher yields and could end all life on Earth more quickly and with great spectacle than any other nation. But because Russia explores all kinds of ridiculous nuclear weapons, bases nuclear warheads near population centres, uses nuclear weapons to threaten other countries, and because the fall of the Soviet Union led to the greatest episode of loose nukes in world history, Russia sits on the low end of this list. Russia has the full nuclear triad with constantly modernised bombers, land-based missiles, and submarines. The triad is a true 24/7/365 force with submarines on deterrence patrols at all times. According to Kristensen, most of the supposedly revolutionary Russian nuclear strategic systems hyped by Putin will see limited deployments. While Putin hypes a new hypersonic, manoeuvrable intercontinental-ballistic-missile (ICBM) warhead, Kristensen notes that most ICBMs will remain the old type. Furthermore, all ICBM warheads travel at hypersonic speeds. Russia routinely sinks needed cash into “really frivolous exploratory type systems that make no difference in deterring or winning,” according to Kristensen. One “excellent” example of this, according to Kristensen, is the Poseidon underwater 100 to 200 megaton nuclear torpedo. This weapon, potentially the biggest nuclear explosive device ever built, just doesn’t make sense. “Israel is interesting because it’s a semi-dormant nuclear program, but it’s not dormant,” Kristensen said. 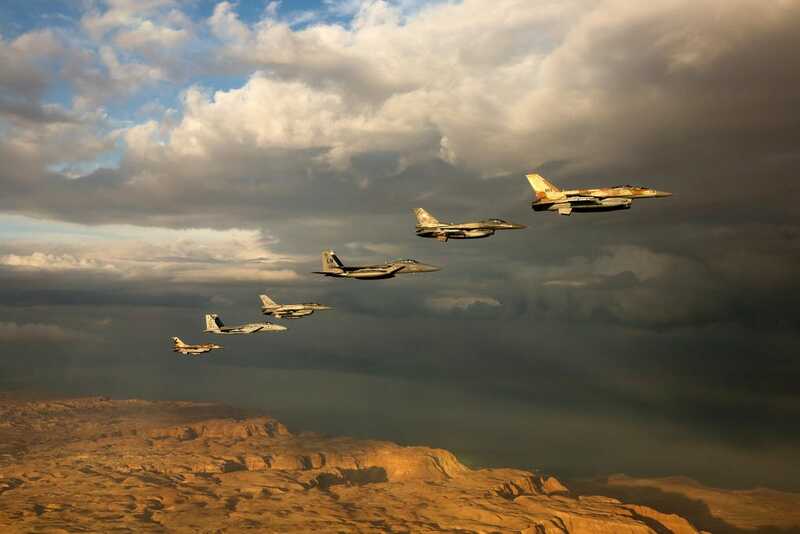 Furthermore, Israel’s conventional military, with its top-of-the-line air force and close coordination with the US, easily overpowers its regional foes in traditional fighting. Instead of reaching for nuclear weapons to threaten a more powerful foe, Israel has a “very relaxed nuclear posture, truly what you could call a last resort posture,” according to Kristensen. Secrecy surrounding Israel’s nuclear program has made it hard to evaluate, so it gets the middle spot. Truly, nobody knows what weapons Israel has or doesn’t have, and that’s the way they like it. Kristensen said Israel has siloed missiles and aircraft that can launch nuclear bombs. “Rumour is Israel has a cruise missile for their submarines and there are writings about nuclear land mines and tactical nukes, but they remain in very much in the rumour box,” he said. 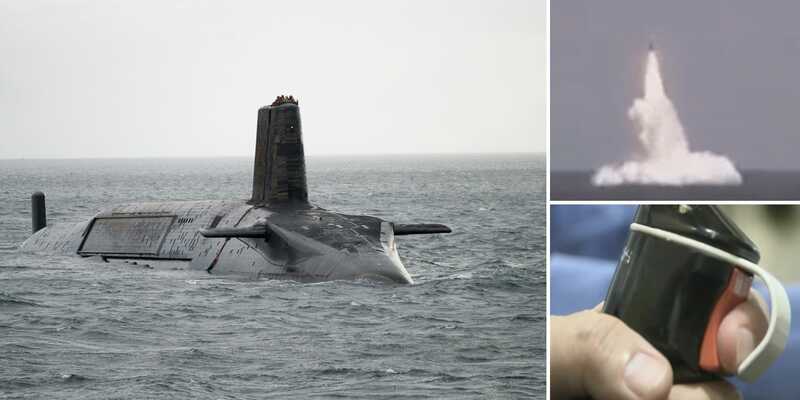 Getty Images/Royal Nav/ITNA composite image shows a Vanguard-class submarine (left), footage of a test launch (top right), and a Royal Navy officer pressing a red button as part of the launch (bottom right). The UK operates four nuclear submarines that fire can fire 16 Trident missiles made by the US. That’s it. The UK won’t get an “arsenal” page for this reason. The warheads on these patrols are mated to missiles. The UK belongs to NATO and draws Russia’s ire sometimes as a loud voice in the West, but doesn’t have a very big or powerful conventional military. Nor does the UK have any clear-cut enemies. While the recent UK-Russia hostilities may have reminded the island it’s not without opposition, Russia’s horns are mainly locked with the US. The UK has determined it doesn’t need a very big nuclear arsenal and didn’t overdo it, giving it high marks on its small force. “The French have a very open ended strategy that looks at potential use against any significant threat against crucial French interests,” Kristensen said. This includes using nuclear weapons against a state that launches a terror attack on France. France’s nuclear doctrine allows first use in a broad range of circumstances, and while its weapons are not as aligned with NATO’s posture as the US or the UK’s, “it’s assumed they would pick a side and somewhat contribute to the deterrence posture of NATO,” Kristensen said. Also, France collaborates less with the US on nuclear issues, though their targeting objectives probably broadly align with the US’s, Kristensen said. Essentially, France’s strong conventional military allows them to avoid much discussion of using nuclear weapons. Additionally, the French seem more able to stomach paying for nuclear weapons and infrastructure, which the British have often been uneasy about. France’s participation in the nonproliferation treaty and its relative stability with its nuclear program earns it high marks for such a limited arsenal. 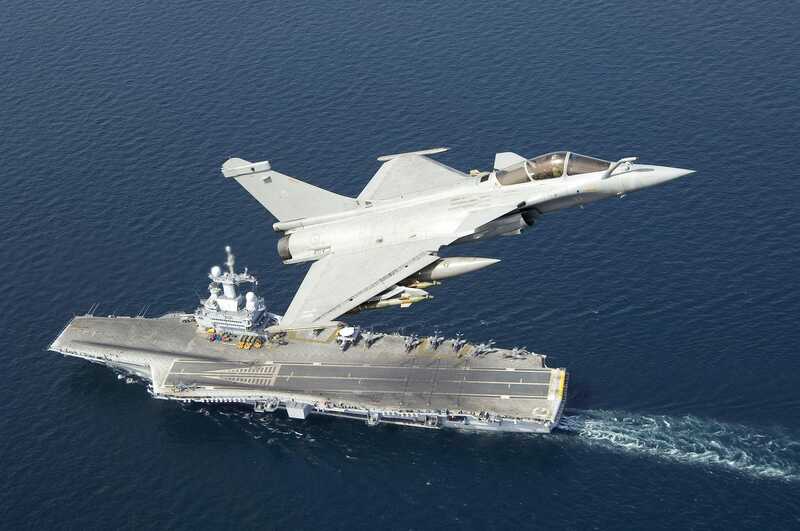 Marine nationaleA French Dassault Rafale flies above the Charles de Gaulle aircraft carrier. While it’s not a nuclear weapon outright, outside of the US, only France operates a nuclear-powered aircraft carrier, the Charles de Gaulle. The US’s nuclear warhead count falls short to only Russia, and like Russia, the US swelled its arsenal to surpass 30,000 weapons during the height of the Cold War. 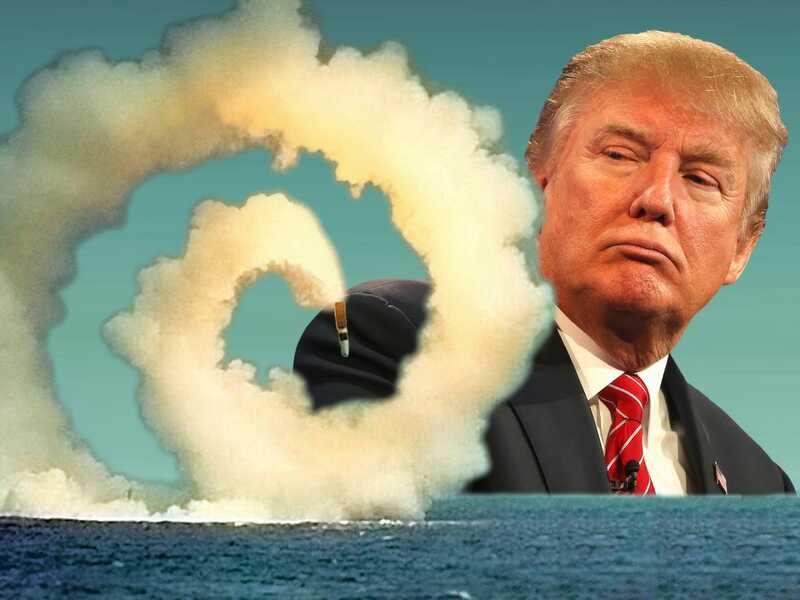 The US invented nuclear weapons and remains the only country to have ever dropped them in anger, but the US’s conventional-military supremacy curtails any need for nuclear saber rattling. US Air Force photo by Master Sgt. Val GempisAircraft mechanics prepare a B-2 Spirit bomber before a morning mission in Guam. Today the US’s nuclear arsenal has narrowed down to a triad in constant stages of modernisation. The US also has nearly 400 intercontinental-range missiles in silos around the country, mostly aimed at Russia’s nuclear weapons for an imagined “mutual destruction” scenario. Recently, the US has come under intense criticism for President Donald Trump’s proposal to build more smaller or tactical nuclear weapons. 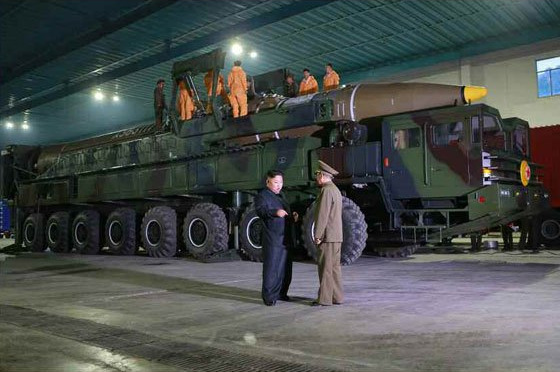 Experts say these weapons make nuclear war more likely. 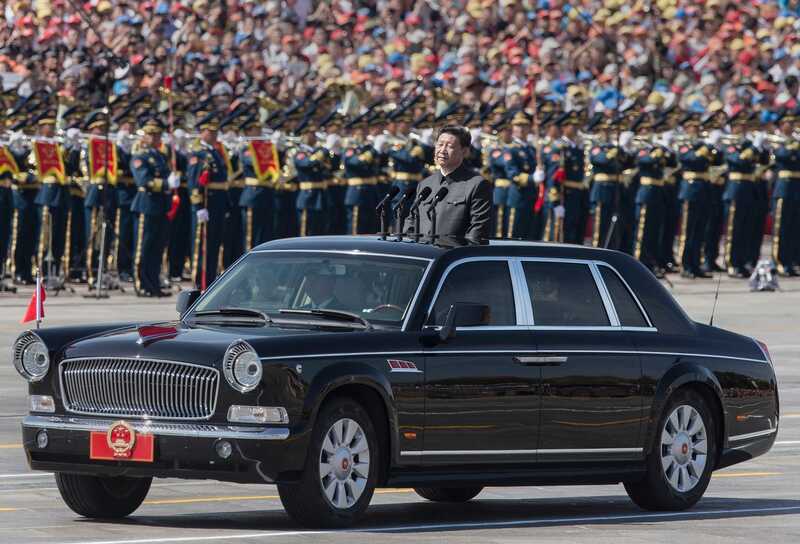 Kevin Frayer/Getty ImagesChinese President Xi Jinping in Tiananmen Square during a military parade. Given China’s early enthusiastic attitude toward nuclear combat, it developed a surprisingly responsible and calm force. China’s nuclear doctrine forbids first strikes and centres around the idea that China would survive a nuclear strike, dig its bombs out of deep underground storage, and send a salvo of missiles back in days, months, or years. This essentially nails the idea of “credible minimum deterrence.” Everyone knows China has nuclear weapons, that they work, and nobody doubts China would use them if it first received a nuclear attack. 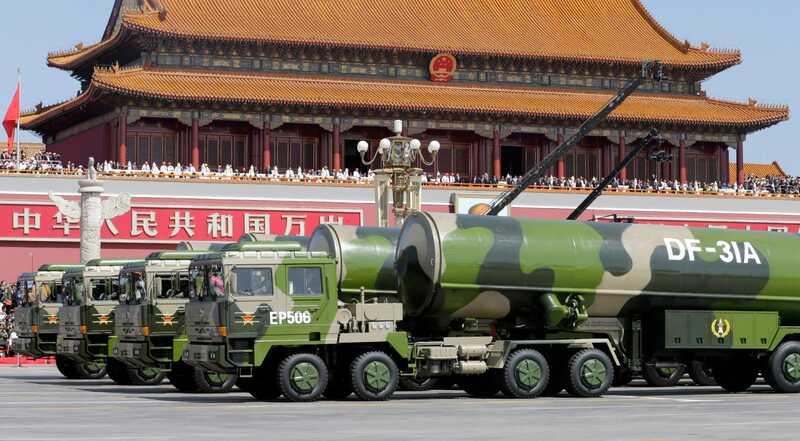 Because China’s nuclear warheads don’t sit on missiles, if China attacked another country with ballistic missiles, the attacked country could be fairly sure the missiles were not nuclear armed and resist returning fire with its own nuclear weapons. Photo by Jason Lee / Getty ImagesMilitary vehicles carrying DF-31A long-range missiles drive past the Tiananmen Gate during a military parade. China relies on a growing and modernising conventional military to assert its will on other countries and virtually never mentions its nuclear arsenal.